There are countless variations of this old dance. The Spanish Waltz was a combination of dancing a repeated sequence of moves with other dancers, then waltzing with your partner. It is more common as a Sicilian Circle: perform a move that moves the ladies to the right four times, star right, star left, waltz to progress. The repeated move usually starts with a balance forward & back (holding either your partner's hand or the appropriate hand of your neighbour) and can be a Roll-Away (with or without a Half Sashay by the man, and with optional twirling of the lady, CW or AC),Box the Gnat, Pass Through, Half a Two Hand Turn or Star Through. Some of the variants end up being the same dance as the Waltz Country Dance. Modern dances are not always able to perform a waltz to progress, so a promenade in a line of four (with the men's left shoulders nearly touching) is often substituted; go around once then progress, filling the music with a Butterfly Whirl if necessary. 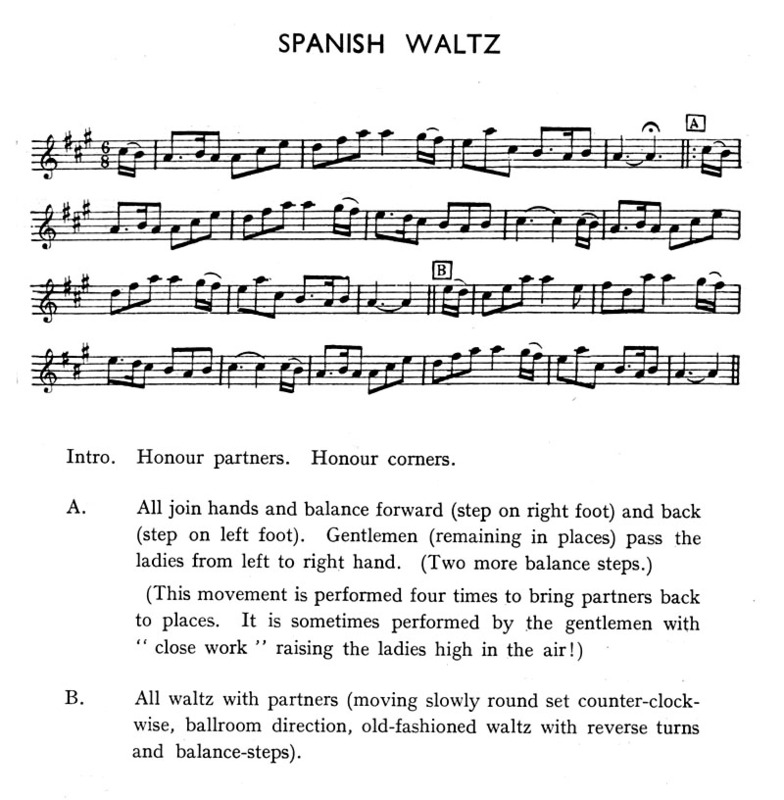 The version given here is the same as the one in the Community Dance Manual, wherein it says that it was collected by Peter Kennedy in the Border villages. 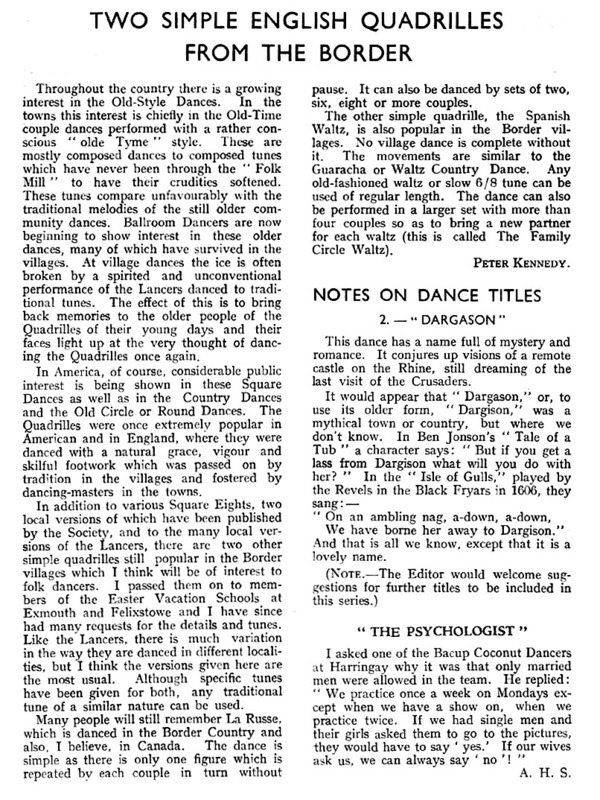 This dance was presented with La Russe under the title "Two Simple Quadrilles from the Border"; the article is included below.